Do you love golf but feel limited in what you can achieve? Calgary golf instructor Garrett Jenkinson explains how to get a great golf swing that you can adapt for any shot you’ll need to take during your game. By analyzing what you’re doing wrong and correcting it, Calgary golf enthusiasts can make their swing match what they want the ball to do. Check out our three steps to success. Before making any changes to your swing, you need to first understand what you are trying to change. We advise new and seasoned players alike to watch what the ball is doing, and understand what you would like to change about it. What is happening in situations where you don’t like your performance? Is the ball curving too much one way or the other? Is the ball going too high or staying too low? Does it need to go a different distance? Once you know what you would like to change, you need to consider what is happening with the club when it impacts the ball. Adjusting the way your club makes an impact can help you achieve the results you’re looking for. If your ball is going in the wrong direction, you need to make note of where the club face is pointing, and what path the club is taking through impact. If the ball is going too high or low, consider what the club would need to look like at impact when hitting higher or lower shots. With practice, you should be able to hit both! If your ball is going too far or falling short of your goal, you need to understand how your lower body creates power in the golf swing. At our Calgary golf academy, we always advise golfers to work on achieving perfect direction with their swing before starting to work on power and distance. If you’re still having trouble with these techniques, a certified Calgary golf instructor can help you overcome any roadblocks you might be encountering. 3. Head To Your Favourite Outdoor or Indoor Golf Course in Calgary and Practice! The next step is simple. Practice! Adjust the factors that you identified as hurting your swing, and monitor your improvement. Once you’ve conquered the issues that were giving you trouble, it’s time to apply your knowledge to other types of swings. Practice sending the ball farther away, nearer, higher, lower, and in different directions. The more ball flights you can create with every club in your bag, the more you will enjoy golf. Knowing how to turn the ball in the right direction, control your distance, and change direction can set you up for success during your game. Is It Time To Enlist A Calgary Golf Instructor? If you’re feeling stuck, it can often be beneficial to enlist a professional. Not only can they quickly correct more glaring errors you might be seeing in your swing, but they can ensure that your technique won’t cause any issues or put you at risk for injury down the road. Want to join our Calgary golf academy? Check out our wide range of lessons for men, women, and juniors! Whether you’re starting from scratch or seeking to polish your technique, our golf instructors have the expertise needed to set you up for success. Give us a call at 403-453-4653, or drop us a line through our contact form. Golf Performance Canada is a full-service golf academy that improves players’ lives through an emphasis on mental acuity, overall fitness, and technical skills development. 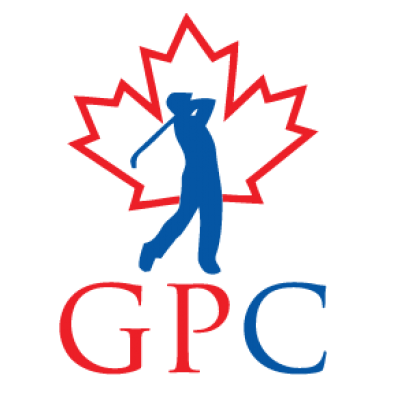 Golf Performance Canada was founded in 2012 by Garett Jenkinson.